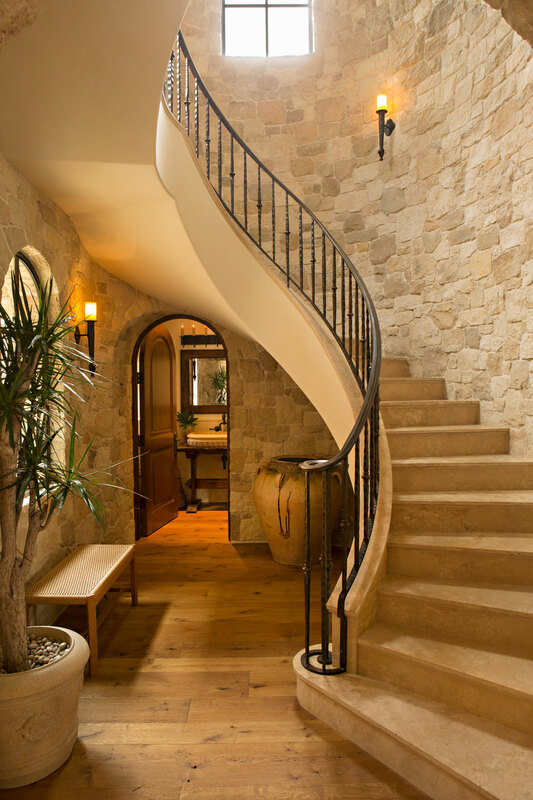 One of the stand out features of this traditional home is the stonework. 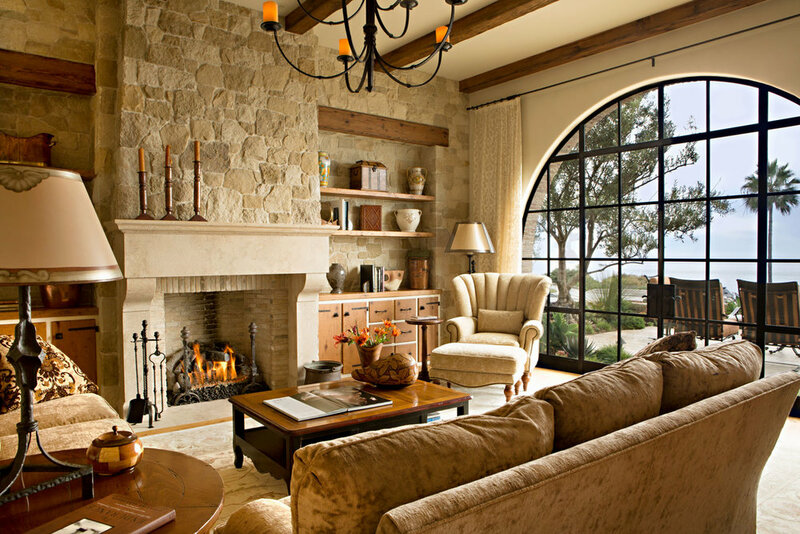 The exterior façade and details surrounding the curved steel windows plus interior design elements such as the barrel-vaulted stone ceilings and built-in niches required the utmost skill and seasoned experience with stone masonry. Rough-hewn beams, groin-vaulted plaster ceilings and a circular stone stairwell transport the homeowners to another time and place without losing modernity or elegance.